Bowling Green added three players during November’s early signing period. Ryan Bednard, a goalie for the Johnstown Tomahawks in the North American Hockey League. Chris Pohlkamp, a defenseman for the Sioux Falls Stampede in the United States Hockey League. Sam Craggs, a forward for Team Illinois U18 in the High Performance Hockey League. Pohlkamp will join the Falcons either next season or the 2016-17 season. Craggs and Bednard will come to BG for the 2017-18 season. “We like the type of people they are,” BG head coach Chris Bergeron said “We think they’re all the overachieving-type person which is what we’re trying to establish with everyone we have in our program internally or guys that are coming. All three players have brothers who are playing for the Falcons or have signed national letters of intent to attend BG. Bednard’s brother, Shane, is a forward who will join the Falcons for the 2015-16 season. Pohlkamp’s brother, Matt, is a sophomore forward for the Falcons. Craggs’ brother, Lukas, is a forward who will join the Falcons for the 2016-17 season. The Falcons have 12 recruits, who will come to BG during one of the next three seasons. FOCUS: The Falcons are getting specific during the recruiting process about the type of players they’re looking for, BG assistant coach Barry Schutte said. “As we’ve gone through this process over the last 4½ years, we’ve really started to define how we want to play the game — a team that’s hard to play against, a puck possession team, good size, good speed, yet we can make small hockey plays in all three zones,” Schutte said. WCHA: When college hockey realigned after the 2012-13 season, there was a perception the Western Collegiate Hockey Association would have trouble recruiting quality players. 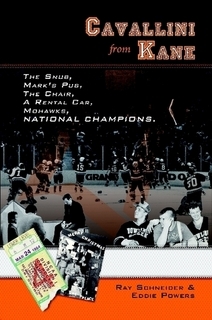 The revamped WCHA was viewed as one of the weaker of the sport’s six leagues. But Bergeron said that hasn’t been the case. “It seems to be a nonissue,” Bergeron said. “There still seems to be a Big Ten presence that people talk about wanting to play in the Big Ten. This season, four WCHA teams are ranked in the U.S. College Hockey Online Top 20. Michigan Tech is sixth, Minnesota State is seventh, BG is 15th and Northern Michigan is 19th. Ferris State and Minnesota State earned NCAA playoff berths last season. Bergeron said BG hasn’t lost recruits because it’s playing in the WCHA. 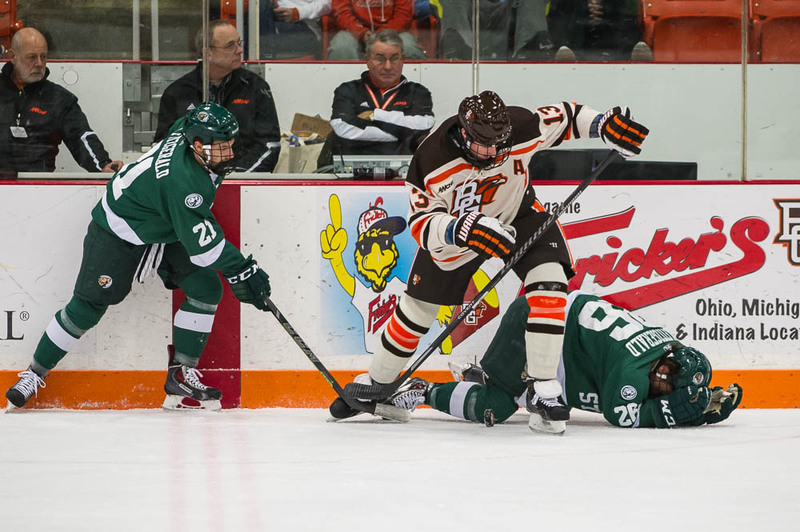 The WCHA has the third-best record in nonleague play this season among the six leagues. The WCHA is 22-17-4 in nonleague games for a .558 winning percentage. The WCHA is 10-4-1 against the Big Ten, 2-1-1 against the Eastern College Athletic Conference, 3-2-1 against Atlantic Hockey, 2-3-1 against Hockey East and 5-7 against the National Collegiate Hockey Conference. “The recent success of what the WCHA is doing in conference play, the national tournament, in nonconference play is helping recruiting,” Bergeron said. VERBAL: Jordan Ernst, a defenseman for the Chicago Mission U18 in the HPHL, has verbally committed to BG. He plans to join the Falcons for the 2016-17 season. Ernst is expected to sign his letter of intent during the next signing period in April. Under NCAA rules, coaches can’t comment on recruits until they’ve received the player’s signed national letter of intent.